A neuroma, often described as the sensation of stepping on a rock between the third and fourth toes, can be uncomfortable at best and excruciating at worst. In some cases, neuromas can even make it difficult to stand or walk. 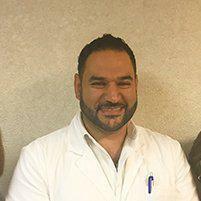 Dr. Paul Georges at Prime Foot and Ankle has successfully treated hundreds of patients suffering from neuromas; you can trust him to accurately diagnose and effectively treat your foot pain. Dr. Georges serves the greater Lowell, Massachusetts area, including Chelmsford, Dracut, Tewksbury, Westford, Billerica, and Tyngsboro. A neuroma can also cause you to walk on your heels or the sides of your feet to avoid the pain in your toes, which can lead to gait problems. What are the causes of a neuroma? In most cases, neuromas are diagnosed based on the information provided by the patient and the information gathered through physical examination of the foot and ankle. In some cases, additional testing may be required. How do you treat a neuroma? In many cases, choosing appropriate footwear can produce dramatic improvement for patients suffering from neuromas. While high heels aren’t recommended, low heels can often be worn safely. Dr. Georges can help patients select shoes that provide adequate room and support. Additionally, many patients notice improvement after rest, ice, compression, and elevation. For patients who don’t experience relief from appropriate shoes and home treatment, custom orthotics may be prescribed to provide better alignment and prevent a pinched nerve from developing. Cortisone and PRP injections have been proven to be beneficial, as well as the use of anti-inflammatory medications. In serious cases, surgical intervention to removed the affected nerve may be necessary. The best way to determine the correct treatment plan is to obtain a comprehensive evaluation from a podiatrist experienced in treating neuromas. Dr. Georges at Prime Foot and Ankle Care has extensive experience with this condition and works diligently to ensure patients leave feeling better than they arrived.